Yes, you get it right here! One special, ‘mix-em-up’ screenie day. Oddities and thoughts ahead. 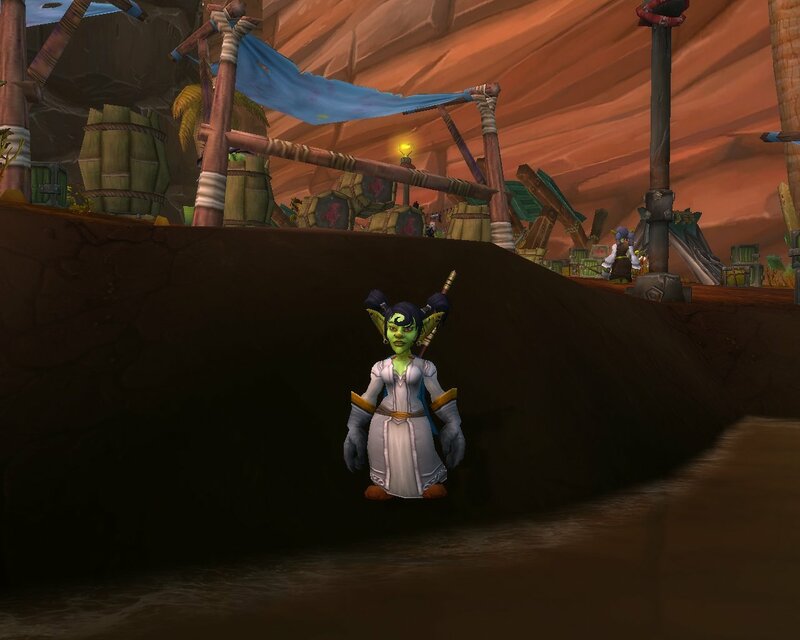 Over the past week now I’ve noticed many leveling zones now seem to be “populated”. We have guests from several other realms visiting us. 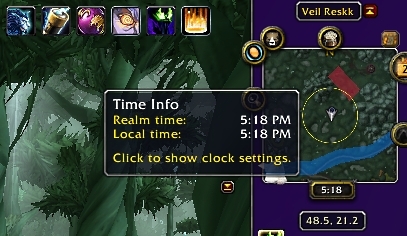 Then I noticed the mini-map clock. 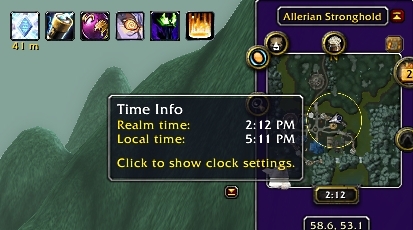 The one which shows both realm and server times. Okay. So I’m not always where I thought I was. Being on an East Coast server, the two times are the same for me. But every so often, I see differences of 1 or 3 hours from my local time. Hey there! I’m not on my home realm anymore. Sometimes I (horde), see an influx of Alliance players instead of seeing only fellow Horde. 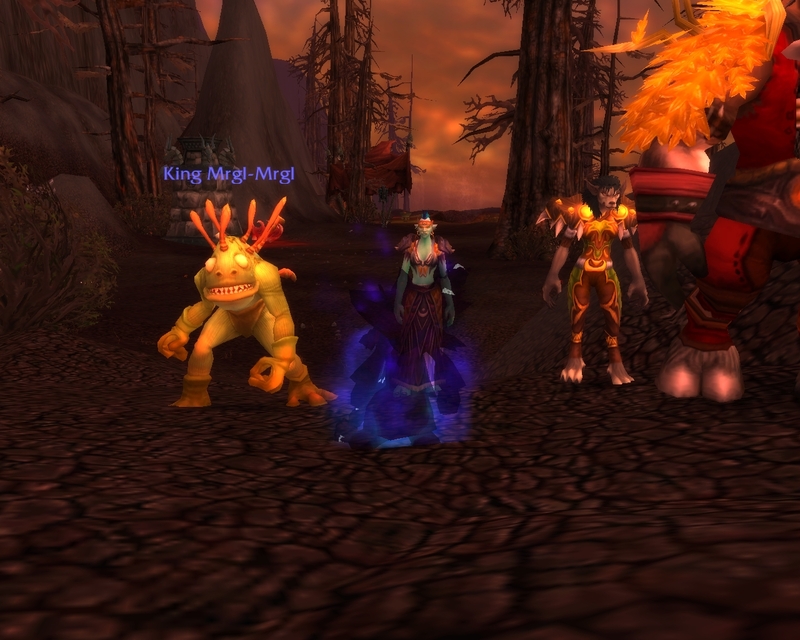 At other times, lol, I seem to be the rare Horde running about. 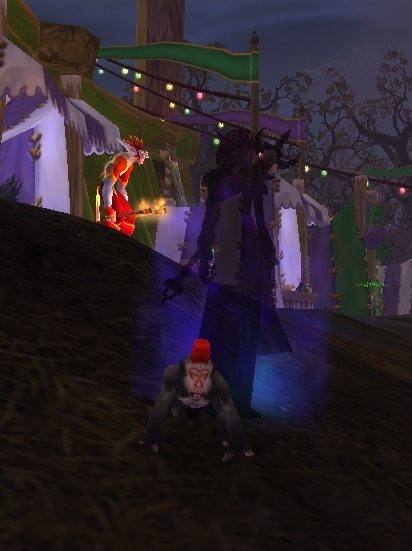 Strange thing Blizz has done. 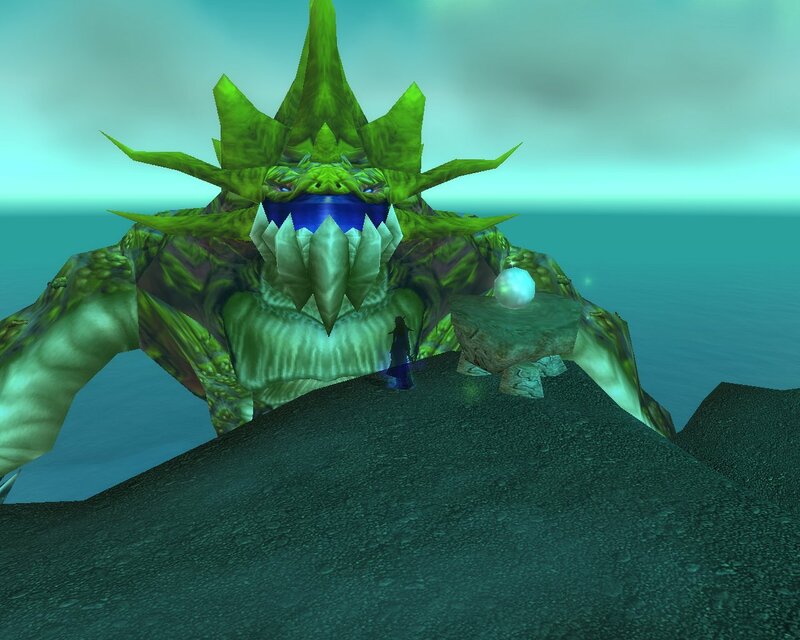 I attempted to talk to a fellow Horde from a visiting server once. No reply. Hmmm? 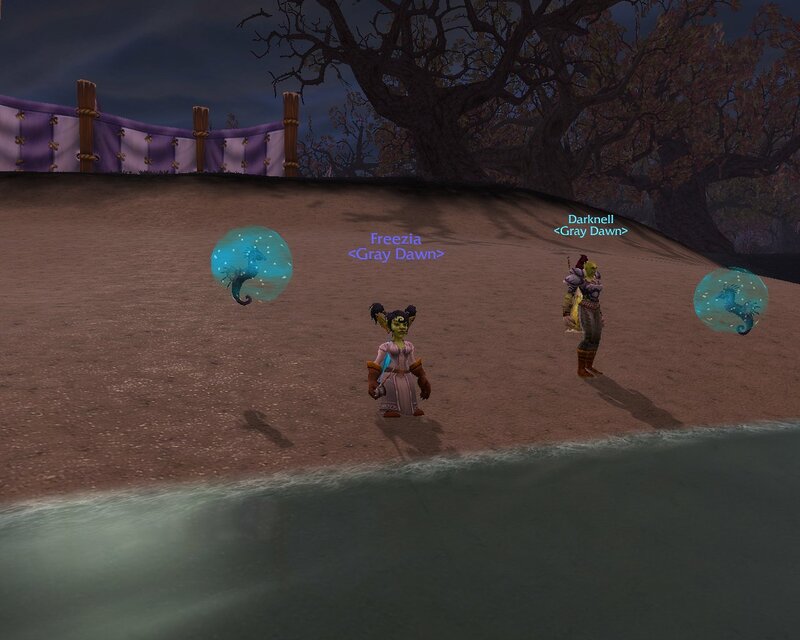 Fishing at the Darkmoon Faire. Killona and Anesthetica met up for a bit of fishing. Turned out the Faire was really bugged out as none of my other alts could pick up the profession quests this time around. Hopefully it’ll get fixed this week. Those extra 5 skill points are really nice to have. 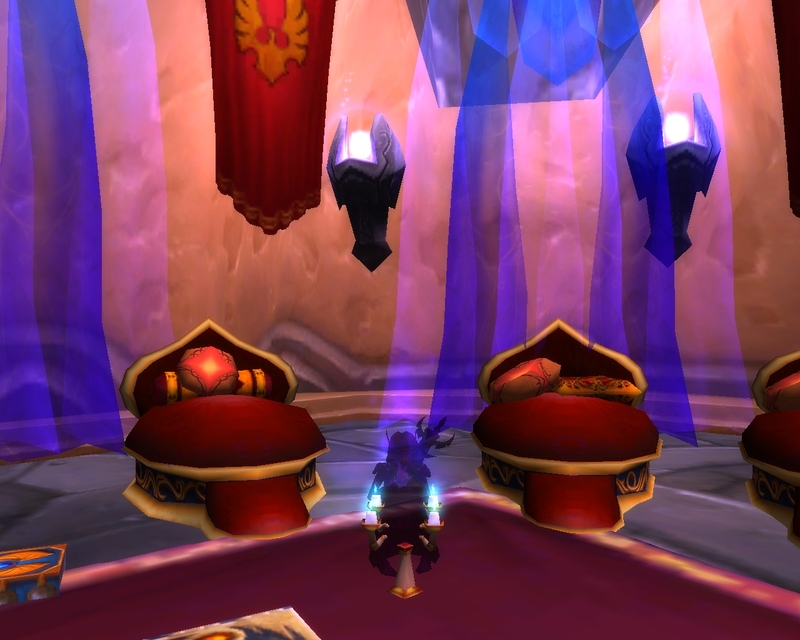 Dufit has been running some of the Firelands dailys, mostly just for the gold, cloth and other possible goodies. 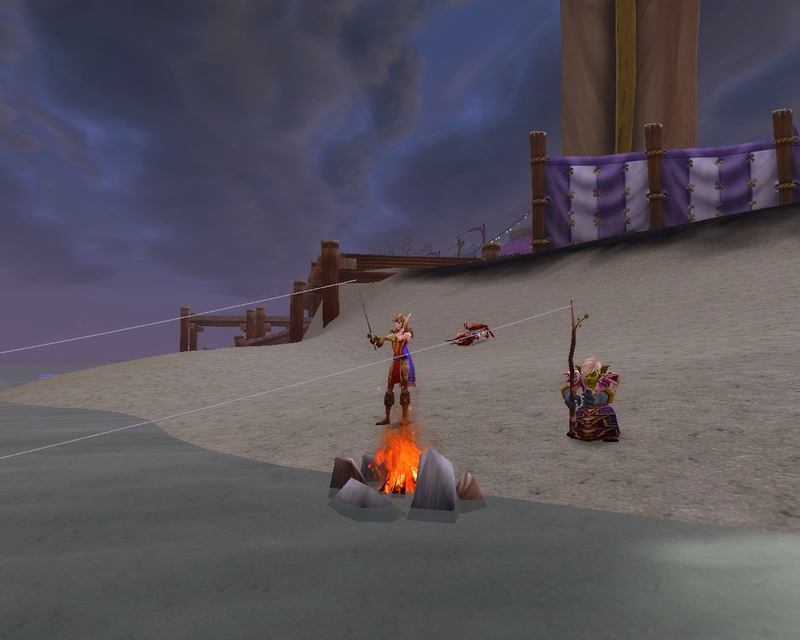 At one point, a DK wanted to group up for the turtle kill. No problem. Click accept. Afterwards, Dufit noticed something strange in his Recount box. 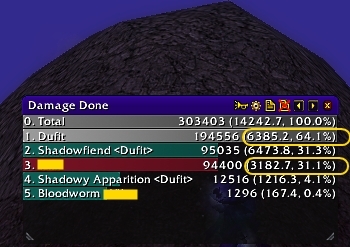 Rather odd I should think, that a priest should be able to out dps a DK. Although, he has seen stranger oddities. 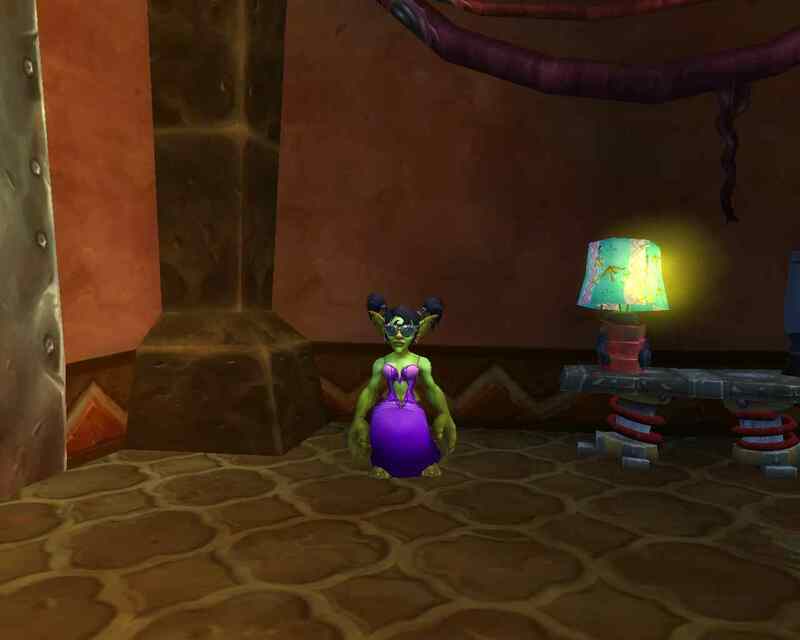 Thdoria spent some time skilling up her sickly Archaeology. 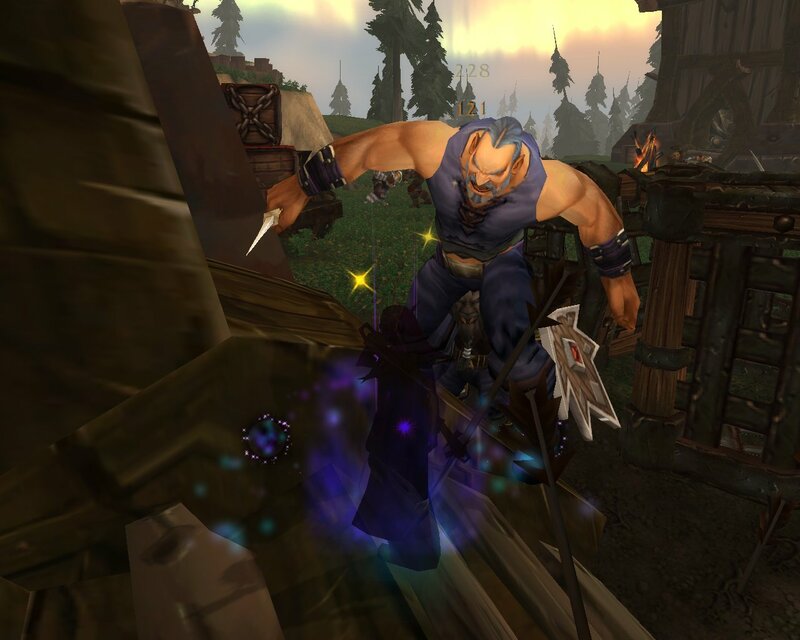 After starting in the Old World and taking a short rest in Outland, she managed to raise her skills up to Northrend level in just a couple of outings. The new digsites and xp are doing wonders. In fact, she leveled from mid-74 to 78 startout, just on Archy xp. YAY! She just MIGHT be able to see the pandas’ arrival. 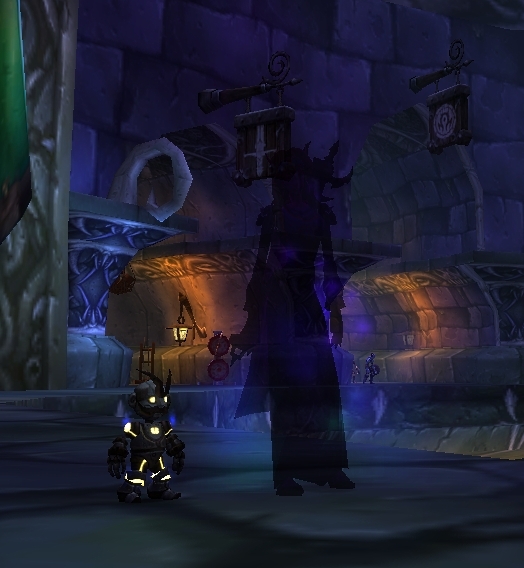 Ay has visited the new SM dungeon, and is heading to Scholo next. 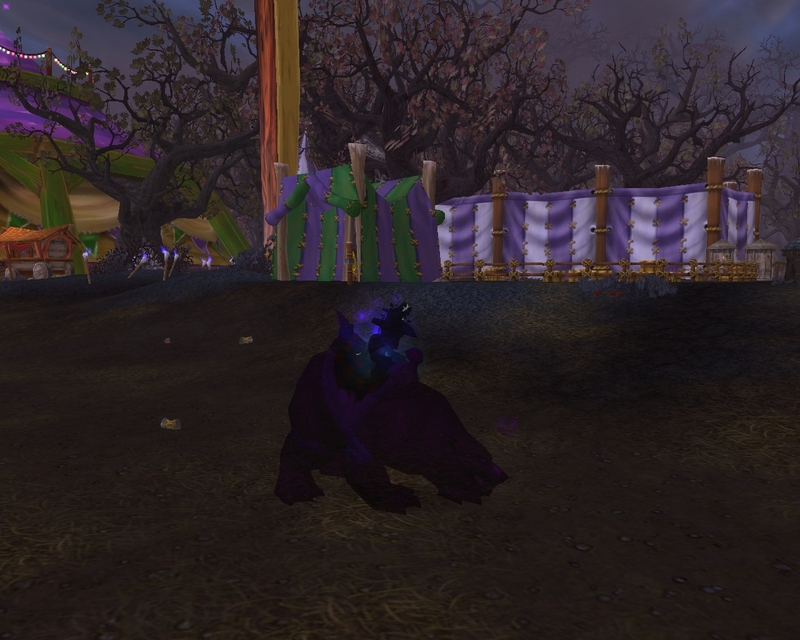 He’s also making sounds about becoming a farmer in Pandaria. Says the crew has grown considerable and we need a new money-maker. I wonder about him lately. Looking ahead: “Tanking-Dungeon Two” Yes, Killona has been at it again, and, she’s got a few things to say. 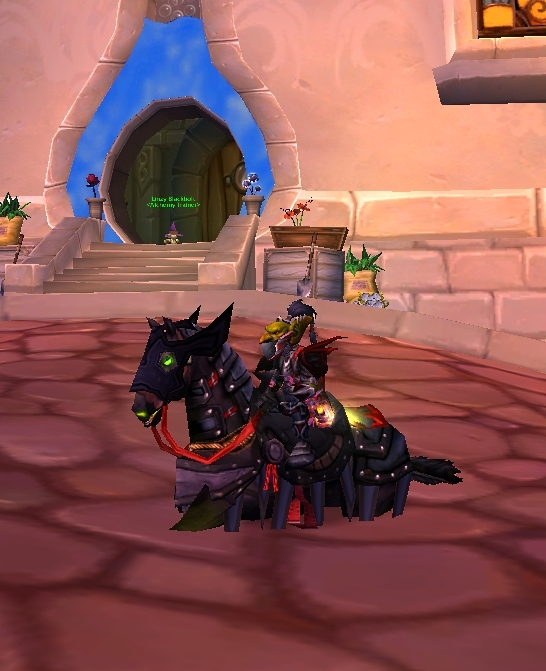 Thdoria has been working so hard with leveling of late, that I got lazy with posting. So here’s a few pieces of eye candy to fill the gap. 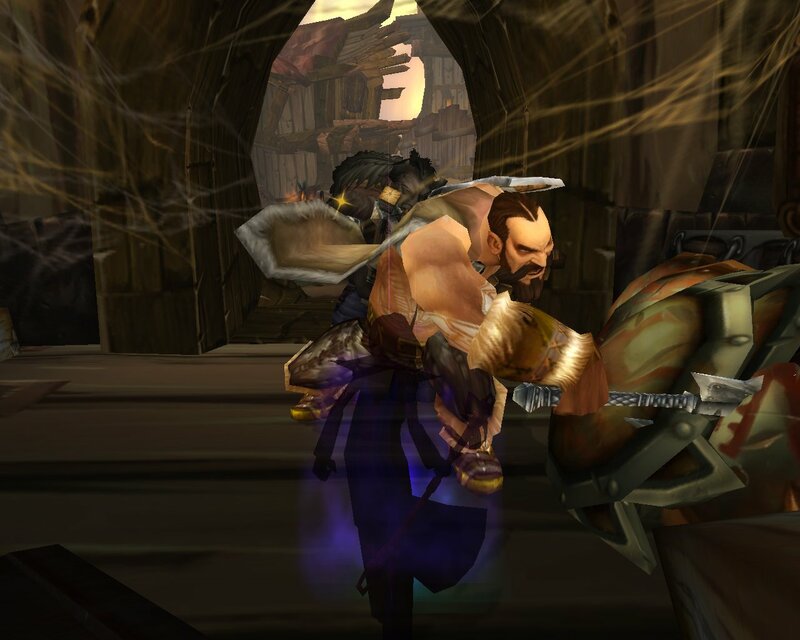 Yes, the DMF gods were with us today!